Welcome Glendale staff, to your new staff professional learning blog. For those new to blogging, this will be a great place to learn what a blog is, how to use one and what you can gain from blogging as a teacher or paraprofessional. If you're not so new to the concept of blogging, but you've never actually written or contributed to one, this will be a space for you to explore those possibilities. Ultimately, though, this blog will be useful to all of us because its focus is professional learning; an element of personal and professional development we all have a responsibility to participate in. Our school is an inquiry-based school, and we are science and technology-based. 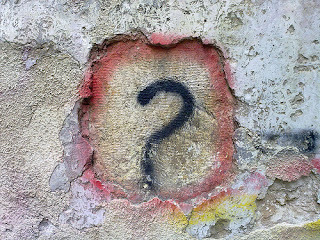 Blogs are a great way to inquire (ask questions) and initiate dialog to further all three of these elements. Let's learn how to maximize this versatile learning tool as we continue to advance our skills and knowledge as teachers, learners and supporters of kids. Blogging and tweeting have been my number one source of professional development for the last 3 years. I can't overstate how important it is for professionals to find the courage (and time and effort) to blog. Professional development for me has gone from being something someone else does to me, to being something I do because it is mine. Essentially, it's all about learning and sharing with others. "Essentially, it's all about learning and sharing with others." ... totally agree Joe. And it's a differential process as well. One size does not fit all. L I look at professional learning as a collaborative process among teachers at different places on their journey... like gears in a gear box; some are larger, some are smaller, but all play a critical role in making the machine work, move in desired directions. Blogging and microblogging are tools to help people move their professional development form here to there; whatever "there" is for any given teacher. Action Research... Fun and Learning?